Grow Wellness sessions are by appointment only, so click the button below to schedule! This all inclusive session nourishes the body's natural healing systems and incorporates a range of body work modalities for the most customized and effective session for you. Swedish and deep tissue techniques are used to relax and melt tense muscles while myofascial technique releases and resets fascial adhesions and restrictions. Each session includes full aromatherapy treatment, sound therapy and the option for hot stone therapy. Enhance any session with the ancient art of cupping therapy. This technique dates back almost four thousand years and has evolved into Western medicine as an alternative therapy practice for a wide range of treatments. The cups draw stagnant toxins to the surface and mobilize blood flow in order to promote healing. This modality releases tight muscles, reduces inflammation, induces tissue relaxation, nourishes healthy blood flow, increases oxygen flow to fascia and muscular tissues and activates the parasympathetic nervous system. Enhance the benefits of any massage by adding CBD therapy! Grow Wellness is one of the first few therapists in Connecticut to offer this enhancement! CBD Devour salve will be used throughout your session to ease pain, calm the mind, soften skin and soothe inflammation. This salve is an incredible blend of CBD extracts, Arnica oil and essential oils with coconut oil and beeswax. This is Kathleen's signature session that she has designed specifically to achieve optimal wellness and health results as well as create an incredibly rejuvenating experience. Rejuvenate your mind body and spirit with the Grow Combo session, taking care of you and enhancing your quality of life. This unique service begins with 5 minutes of yoga stretching and strengthening followed by reiki energy balancing and sound therapy. You will then experience a full body massage with Swedish, Deep Tissue, and Myofascial Release techniques as well as hot stone therapy, cupping therapy, and aromatherapy. Your choice of either a facial cupping sinus treatment with Breathe aromatherapy OR a rosemary scalp and face massage will be incorporated into the session! This custom designed 90 minute session incorporates a gentle application of cupping therapy with Wild Orange & Rosemary essential oils for full body lymphatic drainage. Your therapist will use a trained technique to stimulate the flow of lymphatic fluid, as well as gather up stagnant or excessive lymph, toward lymphatic drainage ducts and channels for healthy circulation. This incredible massage supports healthy immune system function by nourishing our body's natural ability to filter waste and toxins, allowing our first line of defense against illness, bacteria, and viruses to remain vibrant and vigilant. Not only is this session energizing and incredibly healing, but it simultaneously lifts appearances of fine lines and wrinkles while treating any areas of stubborn cellulite. Top your session off with a special detox tea! *Due to high volume of requests for cellulite reduction, this session can be customized into a Grow Slim massage to specifically treat areas of cellulite! Cellulite wasn't created in a day and thus needs more than a few sessions to dissolve. Cupping therapy protocol recommends 2 treatments a week for 4-6 weeks for long lasting results. All Grow Wellness sessions & classes have therapeutic benefits for people experiencing anxiety, depression and stress. THIS session, however, is custom designed for optimal relief, to nourish and cultivate inner peace and grounding. This 90 minute session begins with 15 minutes of reiki energy healing to clear negative energy and align the chakras using tibetan bowl sound therapy. This is followed by a rosemary head massage, using acupressure and Swedish scalp techniques to nurture neurological function and the parasympathetic nervous system. A full body massage ensues using Swedish and deep tissue techniques with a cream infused with lavender, cedarwood, and ylang ylang essential oils. Hot stones melt tense muscles followed by a CBD therapy salve application. This incredible session ends with lemon aromatherapy, our exclusive Serene tea with honey, and a short animal card reading for an uplifting and powerful close. This is a one of a kind anti-aging rejuvenation facial that cannot be found anywhere else. It's a 30 minute session that incorporates facial massage, acupressure techniques, the power of pure, organic rose and lavender essential oils and gentle lymphatic cupping therapy. Rose essential oil creates a powerful therapeutic treatment with a complex array of vitamins, minerals and antioxidants and is the most expensive oil on the market due to the fact that it takes 60,000 roses to produce 1 oz of oil! ​The combination of the oils and applications has been proven to lift the emotional state, promote restful sleep, relieve anxiety and stress, and nourish healthy brain function. Rose and Lavender essential oils have excellent emollient properties for hydrating skin; offer antiseptic and astringent elements to treat acneic skin, as well as anti-inflammation properties to treat redness and inflammation of the face. Lymphatic drainage using a gentle cupping therapy technique stimulates blood circulation to rejuvenate and hydrate facial tissue while draining lymphatic fluid to reduce puffiness in the face. Nutrition is brought to the surface of the skin for a natural glow and the lifting of the cups reduces fine lines and wrinkles, nourishing a softer and younger appearance! Available as an enhancement to any session or as a session of its own! Experience relief from migraines and headaches as well as a healthy boost for not only hair growth but brain circulation and function! Rosemary aromatherapy is used with coconut oil to enhance acupressure and Ayurveda head massage techniques. This treatment has achieved incredible results for depression, anxiety, substance dependence, epilepsy, migraines, headaches, and trauma. Plus, it feels absolutely incredible. ​Available as an enhancement to any session or as a session of its own! This deep heat Keratin treatment soothes and rejuvenates tired and achy feet while plantar cupping therapy relieves and releases tension, fluid retention, restrictive adhesions and lactic acid build up. The keratin nourishes and hydrates skin, followed by a deep tissue foot massage with eucalyptus infused cream using acupressure and reflexology points. The treatment concludes with cupping therapy to create an incredible release for any tension or heaviness carried in the feet and ankles. As a 30 minute session of it's own or added to any massage or reiki session, this treatment includes hot stone therapy in addition to everything above! Pranayama means breath, our vibrant and vital energy life force. Nourishing a healthy breathing pattern is extremely important to the oxygen that feeds the tissues and cells of every physiological system in our bodies. Grow Wellness has cultivated the mother of all immune boosting, breathing treatments! This treatment uses the medi-cupping technique of flash cupping on your back to release your lungs as you breathe in Himalayan salt steam therapy to open the sinuses and awaken oxygen pathways. The steam is infused with peppermint, eucalyptus, melaleuca, lemon, cardamom, and laurel leaf essential oils for a powerful aromatherapy treatment. The cream used is infused with the same incredible immune boosting blend. An advanced cupping therapy technique is then used on the abdomen to release the diaphragm from restrictions, allowing for full and unrestricted inhales and exhales! This powerful session closes with lymphatic drainage facial cupping sinus treatment, clearing and releasing your sinuses! Restore natural and serene balance with this healing reiki session enhanced with aromatherapy and sound therapy. All living things have energy within that serves as their life force. We share our energy in many forms, whether it be through the exchange of oxygen and carbon dioxide with our fellow plant life or the flow of emotions with the people around us as they rub off to inspire or negate our demeanor. Our memories and experiences shape us and are stored in our tissues, affecting our physical and emotional balance. 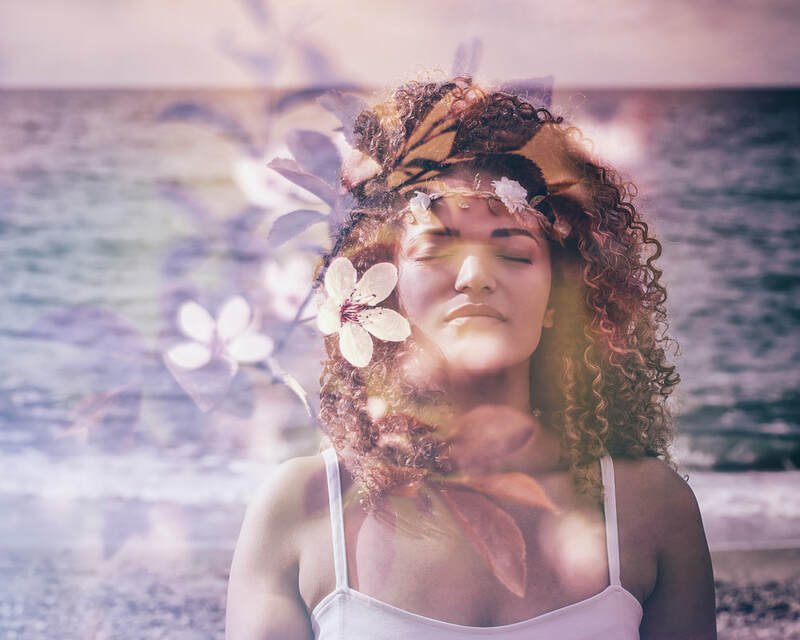 Reiki is an ancient practice where the therapist is trained and tuned to be able to channel universal energy to clear and restore the balance of our energetic, physical, and spiritual wellbeing.